Let me begin by saying that I fundamentally believe nearly all politicians are delusional, liars or both. I don’t think either political party in the United States has cornered the market on delusional thinking. That said, sometimes I read a quote from a politician about a topic that I really know a lot about and I get a renewed sense of how just how out of touch (or dishonest) these people really are. 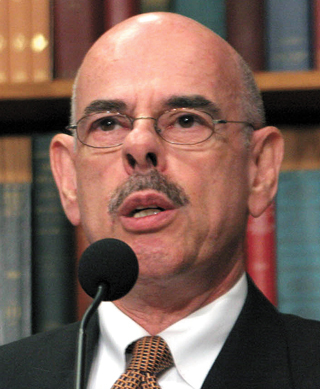 Today’s DOD (Delusion of the Day) Award goes to Henry Waxman, the nebishy little congressman from California. Why anyone would trust a man that looks like this is beyond me, but California liberals are a strange sort, to say the least. Seriously, would you trust this guy? Wow! And this from a guy who represents California, far and away the #1 state in the country for medical device innovation. OK, Hank, let me turn your anecdotal evidence into fact. I’m a venture capitalist and I invest in medical devices. I’m not so arrogant as to say I have seen every medical device company raising money in the last 5 years, but I am confident I’ve seen 75-80% of them and I’ve invested in a few on whose board of directors I now sit. Let me be crystal clear. In 100% (not 95%, not 99%, not 99.9%, but 100%) of the entrepreneurial medical device companies that require FDA pre-market approval, the companies are getting approved and launching in Europe first and often exclusively. If I had a dime for every time an entrepreneur has said to me in due diligence something like, “we’re focused completely on Europe and not even worrying about the US market,” I could keep myself in Obama’s 1% forever. The reason for this is simple – getting a novel medical device approved and on the market in Europe (note – these are countries not known for passive government) can be accomplished in a couple of years for $10-20 million vs. 7 to 10 years and $100 million in the US. And, this has HUGE implications for the competitiveness of the US medical device industry and, more important, for patients. These life-saving devices will not be available for patients in the United States for years after they are available to European patients and, in some cases, they will never be available here. Wealthy patients will travel to Europe to get treated by these novel devices. Middle class and poor patients in the US will suffer or die. Yes, that’s right, in some cases they will die. So much for liberals being the party of the little guy. So, while all politicians are delusional liars, not all of them kill sick patients with their delusional lies. Mr. Waxman does. I don’t believe I’m delusional in thinking Hank “Nostrilitus” Waxman the ugliest man alive.